McGraw-Hill Professional Publishing, 9780071409780, 435pp. 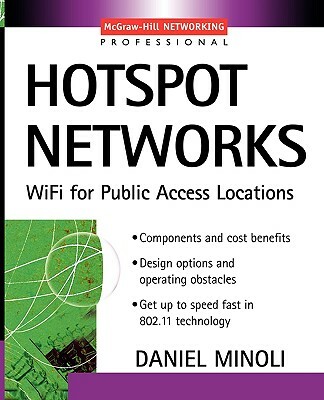 Hotspot Networks are a new industry that seemed to come out of nowhere at the end of 2001. It has been described as a thrreat to the carriers' cellular networks (ABC News) and "the guerrilla revolution of wireless computing" (Seattle Times). Hotspots offer users Internet and telecom services that are up to 40 times faster and less than 1/10 as expensive as what they've got now. Reminiscent of the '90s, the action is evenly split between startups and providers, and the business press is following this industry closely.